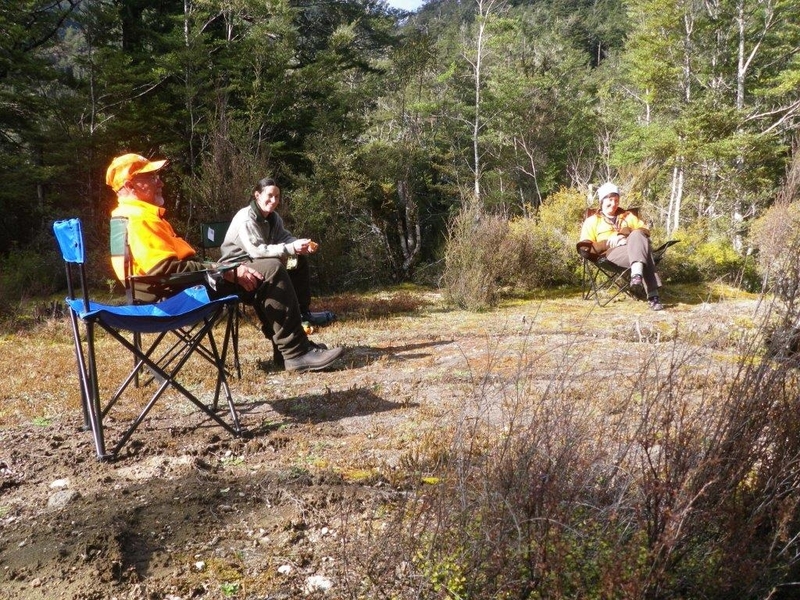 Today we profile Heather Morison, Biodiversity Ranger in Turangi. 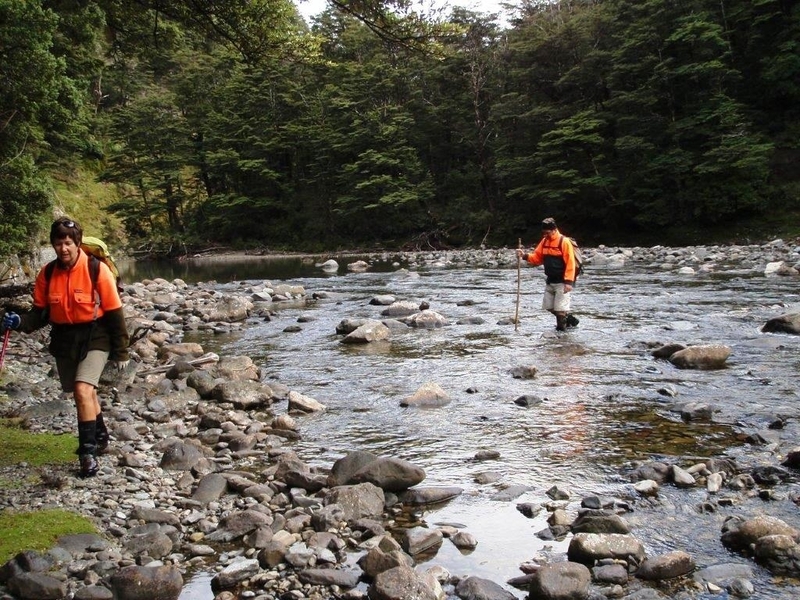 Helping to manage local pest control operations, assessing applications from external operators, working with local community groups to undertake weed control, survey and monitoring and pest control, and being ‘Mother Duck’ to the whio learning their skills at the whio hardening facility at Turangi. 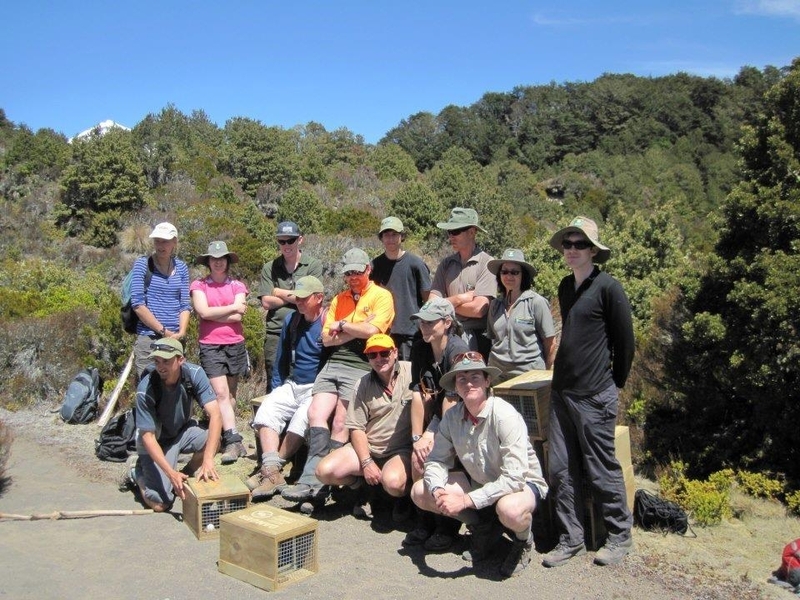 Working with the wider community to achieve positive conservation outcomes, sharing knowledge with local communities to upskill others and help ‘spread the load’ of those undertaking conservation work. The opportunity to learn from people keen to share, although sometimes the learning curve is steep and fast – such as with the whio hardening facility. 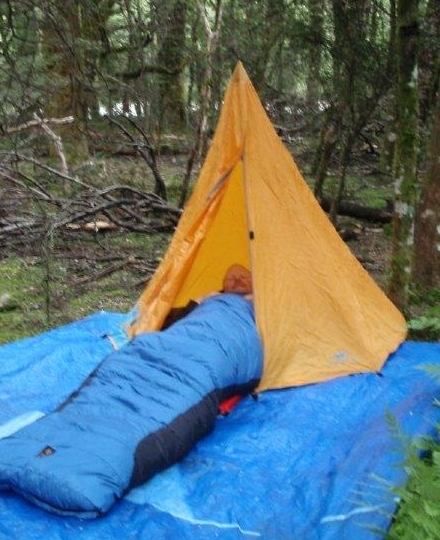 During a recent weed surveillance trip in the Rangitikei River when a colleague mistakenly packed his son’s play tent in the shape of a miniature teepee to sleep in. He was able to fit just his head and chest inside – it is still providing chuckles every time I look at the photos. Luckily it didn’t rain! My partner Paul Prendergast (previous staff member), his sense of humour, love for the job and surroundings encouraged me to join DOC. That I tagged on to a backpacking trip around Europe with my daughter, only to find we had booked into a brothel in Rome by mistake. I thought the noises from surrounding rooms were a result of food poisoning. Ohinepango Springs in the Tongariro National Park or Waipakihi Valley in Kaimanawa Forest Park. Watching the MotoGP at Philip Island last year. Romano Fenati is such an entertainer in the Moto3. 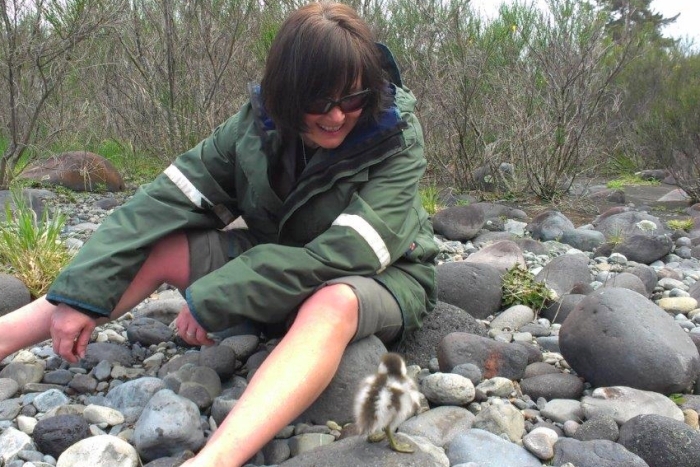 The release of all our whio ducklings from the hardening facility, ready to face the big wide world. Be an undertaker, I have always wanted to try embalming and drive a hearse – my cousin has promised I can drive her hearse if she goes before me. I wore high heels and lipstick. Let’s all work together to look after our wonderful country – at the end of the day, we need to stop making excuses – the buck stops with us. What’s better, savoury or sweet?